WHAT I SEE WHAT MY KID SEES - ProudMummy.com the Web's Community for Mums. Worse ones are seen in with nylon thread !!!!! I cut all mine out and most times get a hole in the garment !! This is defo what my son thinks every morning!!! Yup have to cut them all off EVERYTHING !! First thing I do is cut them out. 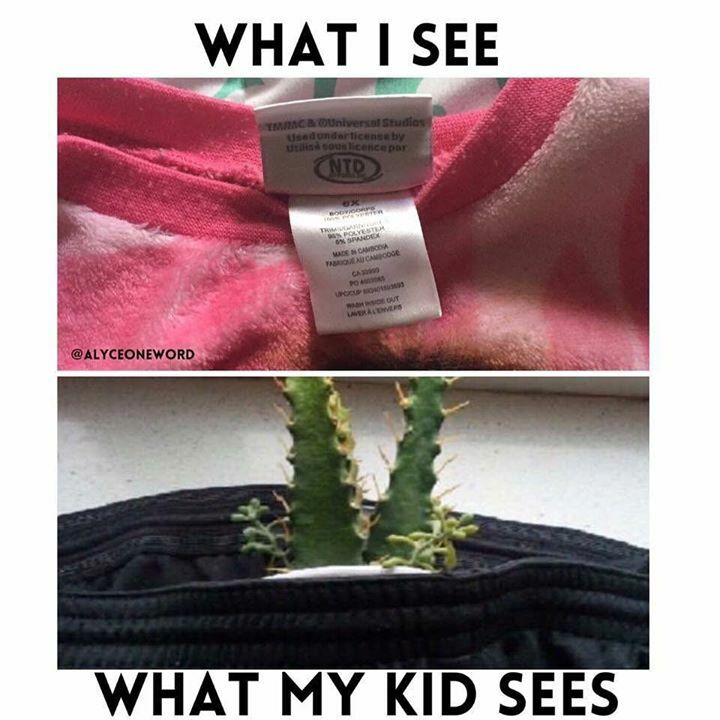 I'm over 40 and I STILL see that, so cut out all tags! Alison Rossiter this is defo Ashley! Michael Rodulfo this is Sofia!! Jamie Stocker this I you !! Oh and twisted socks, the bumpy tights, the silky material, the buttons, the padded jacket etc etc, it's a wonder my boys ever got dressed! Haha.. I cut tickets out of all my clothes still now and I'm 43! Hate labels. Ruin most new stuff cutting every bit out. Simon Ricketts what my husband sees!!! That’s what I see too! Hate labels! Oh me too... I cut all labels out! All mine get cut out. Lorraine Moult 😂😂😂😂 we can relate!